In celebration of Open House London taking place this weekend, we've asked one of our favourite History writers to tell us about their favourite historical building to visit in the capital. Open House London is one of those annual events that those that those who work and/or live in London really look forward to – a chance to sneak into those buildings that you pass regularly but are closed to members of the public most of the time – and free too! The first building I ever visited during an Open House Weekend was Marlborough House. 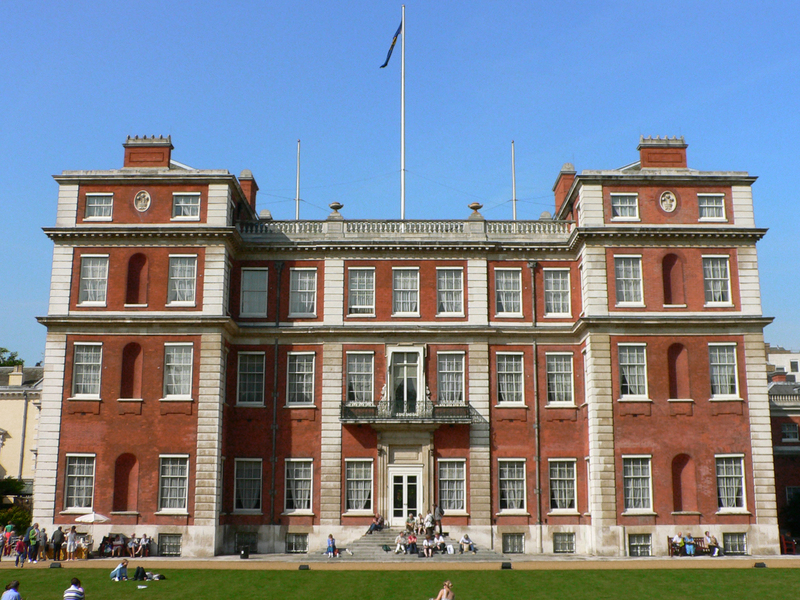 I am a historian of 19th Century Royal History and the “Marlborough House Set” feature heavily during that period. They were the circle of socialites and friends of the Prince and Princess of Wales – otherwise known to history as King Edward VII and Queen Alexandra. As young newlyweds they moved into Marlborough House on 7th April 1863, and started throwing great humdingers of parties. There were enormous dinners, free flowing wine, dancing, card games, and even tobogganing down the stairs. And all this went on till dawn and the Prince’s mother, Queen Victoria disapproved hugely. Later, these dinners were put to more diplomatic uses and the hero of our book, the Archduke Franz Ferdinand, was the guest of honour at a dinner at Marlborough House on 30th June 1894. At this point in his life, Franz Ferdinand was the heir presumptive to the Austro-Hungarian throne, stylish, good-looking and single. He was also aged 30 and it was time for him to marry. From England Franz Ferdinand wrote of that evening to a friend: “I was placed next to a victim bride and was stared at by the grinning parents and numerous aged ladies- in-waiting”. Of a later ball he added, ““the designated fiancées moved about in a great herd and showed worrisome levels of persistence”. He did not find his bride at a Marlborough House event but did return to the House with his wife, the Duchess of Hohenberg, in November 1913. He was visiting the now widowed Queen Alexandra and her daughter Princess Victoria. It was the Archduke’s last visit to England before his fateful assassination. King Edward VII died in 1910 and Franz Ferdinand had been sent to his funeral as the official representative of the Emperor of Austria. The Austrian Ambassador arranged for the Archduke to stay in a very comfortable London house during the ceremonies - Apsley House. Also, known by its exclusive address, No. 1 London, Apsley House sits on the north side of Hyde Park Corner, and is the family home of the Dukes of Wellington. It dates from the 1770s and was remodelled to its present neo-Classical appearance in 1819. The building is significant for its rare Regency interiors designed by Robert Adam. And it also houses a magnificent collection of decorative arts made by the 1st Duke of Wellington including sculptures by Canova, and paintings by Velásquez, Rubens, Goya, and Van Dyck. Writing to the Emperor back home in Vienna, Franz Ferdinand said, “magnificent paintings & numerous souvenirs of the Emperor Francis & the Imperial army adorn this elegant house”. Apsley House was given to the nation in 1947 is now open to the public. It’s a lovely place to while away an afternoon and you forget that outside is one of the busiest traffic junctions in the whole of London. The house always makes me feel that I am in a stately home in the English countryside.